elementary OS is by far one of the most beautiful Linux distribution I have tried. 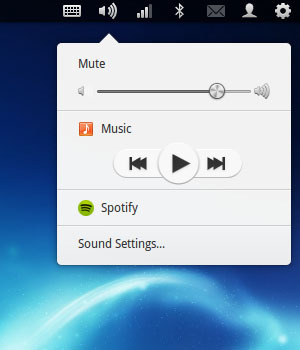 And to put icing on the cake, you can improve your listening experience in elementary OS with Spotify native Linux client. Spotify is a music streaming player that gives you access to millions of songs for free. Over 20 million total users, five million of whom pay the monthly subscription fee. The online library has over 20 million tracks, everyday 10,000 new tracks are being added to its song library. Hello. 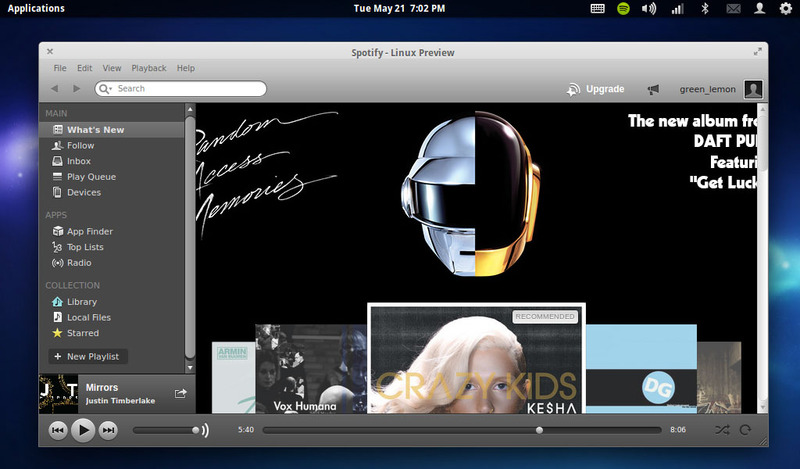 Spotify looks very harmonic in eOS. Is there a way to make it a player by default? P.S. There is a beautiful icon of a virtual keyboard in your wingpanel. The beauty of a keyboard itself is corresponding? I haven't find a keyboard looks nice for eOS.